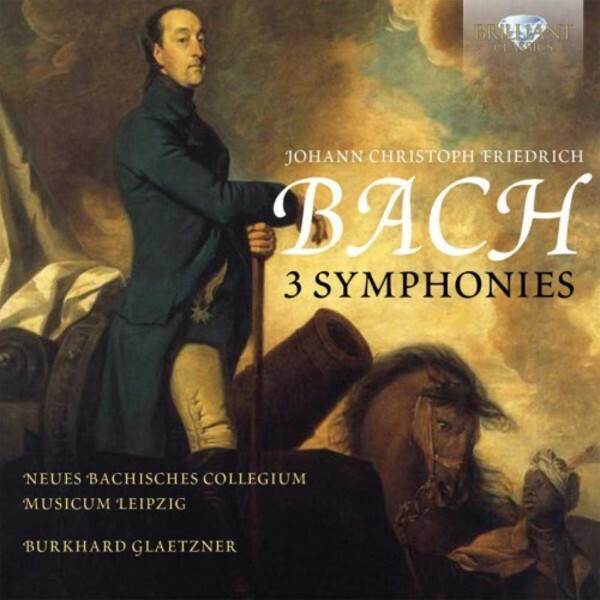 Johann Christoph Friedrich Bach is certainly the least famous composing son of the great Johann Sebastian. He spent his life at the court of B�ckeburg in Germany as court composer. His style may be loosely described as a fusion between his two brothers Carl Philipp Emanuel and Johann Christian: Galante Stil occasionally infused with daring harmonic and dynamic effects. His symphonies pre‐shadow those of Joseph Haydn, and offer delightful Early‐Classical orchestral music of high quality and entertainment. They are performed with gusto and commitment here by the former East German elite ensemble Neues Bachisches Collegium Musicum, conducted by oboist Burkhard Glaetzner. A gem, licensed from the rich catalogue of Berlin Classics.